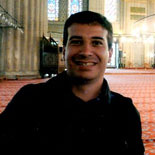 Andrea Caligiuri, Ph.D., is an Associate Professor in International Law at the Department of Law, University of Macerata (Italy), where he teaches currently International Law and European Union Law. His research spans a number of International Law fields, with a particular focus on international criminal law, international human rights law and law of the sea. He has published in peer review journals and collections in these fields. He has edited a book in Italian on the obligation aut dedere aut judicare in international law. He also co-edited three books in the field of safeguard of the human rights in Europe, environmental emergencies at sea and governance of the Euro area. Andrea Caligiuri has participated in a number of scientific conferences and workshops in Italy and abroad. He is also involved in national and international research projects. He is a member of the Ph.D. Board of Legal Studies at the University of Macerata. He currently serves as Member of Editorial Board of the online review “Questions of International Law” and Member of Editorial Staff of the review “Diritti umani e Diritto internazionale”. He is also member of the following scientific associations: Società italiana di diritto internazionale e di diritto del’Unione europea, Association Internationale du Droit de la Mer (founding member), Societé Française pour le Droit International.